Instead of a Pokemon Gray being announced to follow up Pokemon Black and White, this generation’s extra chapter will be a sort of direct sequel: Pokemon Black and White 2. Long time Pokemon fans may be familiar with the Pokemon release cycles. After a major iteration drops, a smaller title follows it to bring a small change to metagame along with other minor tweaks that wouldn’t warrant a proper sequel. But while there’s no information yet as to what Black and White 2 will have, it certainly breaks the established mold. One thing’s for sure though, a new development in the Black and White‘s Pokemon lore will occur. 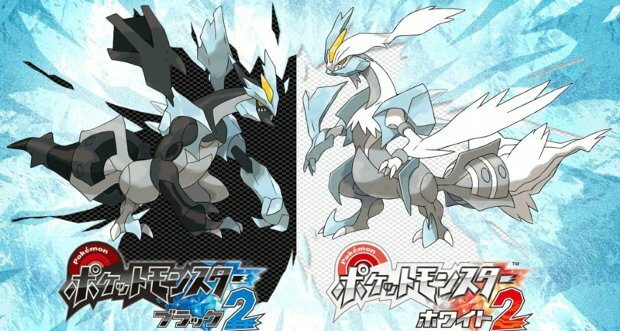 The teaser image shows Black and White’s mascot Pokemon, Zekrom and Reshiram, somehow fusing with the third member of their trio, Kyurem. Pokemon lore describes that while Reshiram and Zekrom control opposing forms of energy, Kyurem represents the absence of energy and naturally has a great deal of magnetism with the other two. Pokemon Black and White 2 are slated to release in fall 2012 for the US while Europe just has a vague “Autumn” release window.